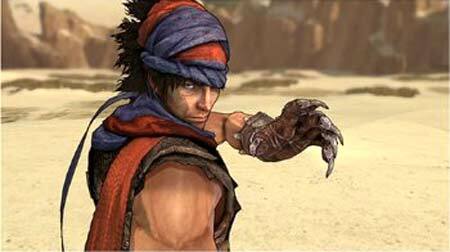 Video Game Cheats, Tips, Hints, And Codes for Prince Of Persia on Sony’s PlayStation 3. Ubisoft’s Prince of Persia is set in a land rooted in ancient Persian mythology, with the Prince finding himself caught in an epic battle between the primal forces of light and darkness—the god of Light, Ormazd versus his brother Ahriman, the destructive god of Darkness. The Prince arrives just in time to witness the destruction of the legendary Tree of Life, an act which threatens to plunge the entire world into eternal darkness. Manifested in the form of ‘the Corruption,’ a dark substance that physically contaminates the land and the skies, the Prince must partner with his new deadly companion Elika to heal the world from the evil Corruption. Just complete each condition to get the allotted Trophies. There are 42 Bronze Trophies, 5 Silver Trophies, 3 Gold Trophies, and 1 Platinum Trophy. Wallrunner (Bronze) Completing the Canyon. Compass (Bronze) Use the Compass. Explorer (Bronze) Explore every part of every region. Block Master (Bronze) Block 50 attacks. Deflect Master (Bronze) Deflect 20 attacks. Sword Master (Bronze) Perform 14 hits in one combo. Improviser (Bronze) Use the environment against an enemy. Up against it (Bronze) Win a wall mini-game in combat. Ruined Citadel Runner (Bronze) Run from the Sun Temple’s Fertile Ground to the Fertile Ground in Windmills in 5 minutes. Vale Runner (Bronze) Run between the Fertile Grounds in the Construction Yards and Heaven’s Stair in 6 minutes. Warrior Special (Bronze) Dodge the Warrior’s attacks 20 times in one battle. Hunter Special (Bronze) Deflect the Hunter’s attacks 5 times in one battle. Alchemist Special (Bronze) Defeat the Alchemist without using the acrobatic attack. Concubine Special (Bronze) Defeat the Concubine without using grab. Light Seeds Finder (Bronze) Collect 100 Light Seeds. Light Seeds Collector (Bronze) Collect 200 Light Seeds. Light Seeds Provider (Bronze) Collect 300 Light Seeds. Light Seeds Locator (Bronze) Collect 400 Light Seeds. Light Seeds Harvester (Bronze) Collect 500 Light Seeds. Light Seeds Hoarder (Bronze) Collect 600 Light Seeds. Light Seeds Gatherer (Bronze) Collect 700 Light Seeds. Light Seeds Accumulator (Bronze) Collect 800 Light Seeds. Light Seeds Protector (Bronze) Collect 900 Light Seeds. Speed Kill (Bronze) Kill 10 generic enemies before they spawn. Throw Master (Bronze) Throw 10 Soldiers of Ahriman into pits. Assassin View (Bronze) Find the Assassin’s view. Titanic View (Bronze) Find the Titanic View. In Harmony (Bronze) 500 coop jumps. Precious Time (Bronze) Take one minute to think. Where’s that Temple? (Bronze) Talk to Elika. Getting to Know You (Bronze) Get to know Elika by talking to her. Good Company (Bronze) Learn about the world, and Elika’s history. Climbing to New Heights! (Bronze) Find the highest point in the world. Sinking to New Depths! (Bronze) Find the lowest point in the world. Speed Demon (Bronze) Finish the game in under 12 hours. Combo Specialist (Bronze) Find every combo in the game. Heal the Land (Silver) First Healing. Royal Palace Runner (Silver) Run between the Fertile Grounds in the Royal Gardens and Coronation Halls in 4 minutes. City of Light Runner (Silver) Run between the Fertile Grounds in the Tower of Ahriman and City of Light in 7 minutes. Light Seeds Master (Silver) Collect 1001 Light Seeds. Saviour of the City of Light (Gold) Final Healing. Be Gentle with Her (Gold) Elika saves you fewer than 100 times in the whole game. Master (Platinum) Unlock all trophies. Into the Storm… (Bronze) Enter the Canyon. Saved (Bronze) Unlock Elika’s Saving Ability. Now who’s the Hunter? (Bronze) Kill the Hunter in his Lair. Death of a Warrior King (Bronze) Kill the Warrior in his Fortress. Death of a Concubine (Bronze) Kill the Concubine in her Palace. Traitor’s End (Bronze) Kill the Alchemist in his Observatory. From Darkness… Light! (Silver) Reimprison Ahriman. To be continued… (Gold) The End. “Sands of Time” Skins Enter 525858542 in “Skins Manager” under “Extras”. Can you help me? How i defeat one prince of persia boss, sorde or magic power does not work on him, in games says use environment t defeat him, Boss was a king…..I dont understand how to use environment…..? Plz …help!